There are times when you’re out and suddenly you get a call about an urgent meeting and need an instant touch up, often in such times we tend to forget some essential make up product at home or don’t have it at all. It’s really important to have the right make up that suits your skin type. But I often see women struggling with what make up to carry along when leaving the house. Me being a model myself I have to look perfect and fresh for my meetings and auditions,hence I need to have the right products for touch ups and I often have women come to me and ask me about my make up regime, and how I manage to keep my make up looking so fresh throughout the day, so here are the basic necessities in make up that a woman should carry in her hand bag. It’s a Lil too dangerous to carry your foundation bottle in a handbag so I suggest a cream concealer is the best option , as it easily spreads evenly on your face and settles fine. Buff it with a buffer brush and powder it with compact powder that matches your skin tone( it’s really essential to pick the right compact shade as too light or too dark is only gonna make you look funny.) buff again to remove excess powder and your base is done. 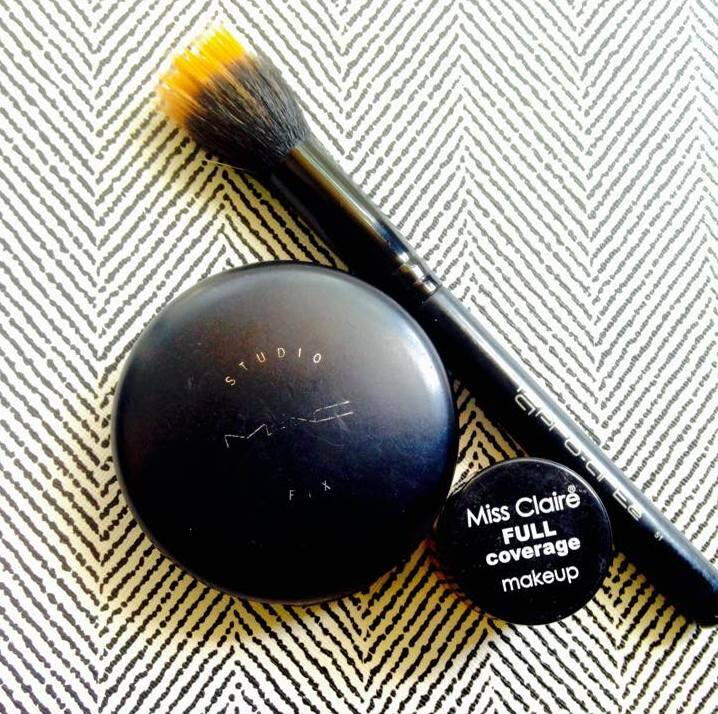 I personally love the Miss Claire Concealer and M.A.C Studio Fix. This next step is essential as it adds a little definition to your eyes, there are so many ways to play with your liner, according to your mood or the style you donning. (check them out on my blog, LINE THEM UP) A simple liner and some amazingly curled lashes do the trick for me as I don’t want it to look too dramatic. The COLOSSAL LINER by MAYBELLINE is an amazing product as its made my life so much easier with its pointed tip and jet-black,smudge-free ink. 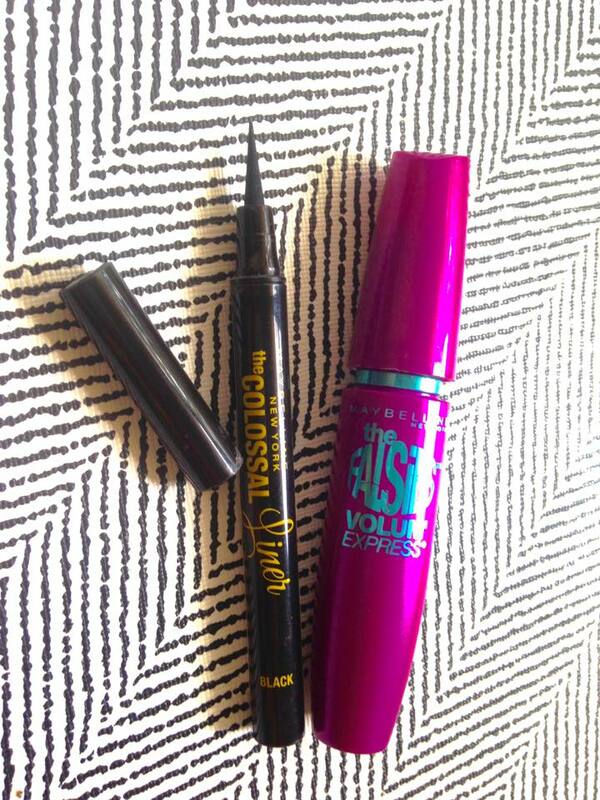 Finish it with the FALSIES VOLUME EXPRESS BY MAYBELLINE . Make sure you don’t buy the waterproof one , as it will leave your lashes looking thin and scanty , I personally love the normal mascara , it make them look thick and voluminous. and finally my favorite is to add a bit of a color to your pout. 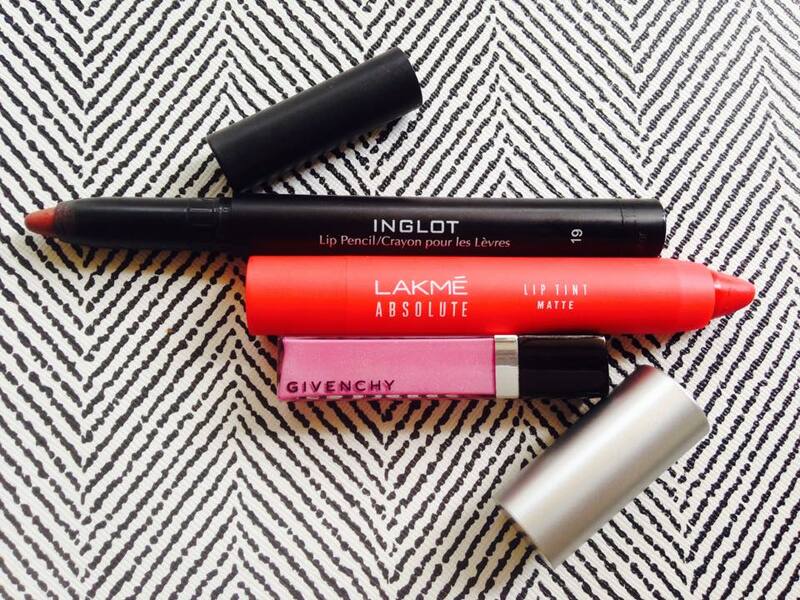 I’m a big fan of matte lipsticks , as they sit really well on my lips and define then, so i keep the INGLOT Lip Crayon , and the new LAKME ABSOLUTE Lip Tint in handy, as these two are my favorites. if I feel like going a little glossy I use the GIVENCHY Lip Gloss. So grab your necessities and play safe to look good , any given time.